This image from video provided by SpaceX shows the company's spacesuit in Elon Musk's red Tesla sports car which was launched into space during the first test flight of the Falcon Heavy rocket. THE car that Elon Musk's SpaceX shot into space yesterday has actually overshot its target and is now rocketing towards an asteroid belt beyond Mars' orbit. Mr Musk pulled off a coup yesterday when he successfully fired the privately funded Falcon Heavy rocket into space from Florida and proved that it was the world's most powerful. 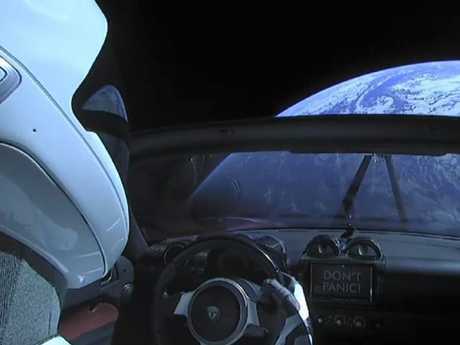 The rocket released a red electric convertible sports car, the Tesla Roadster, carrying a mannequin in a space suit dubbed "Starman", after the David Bowie song. 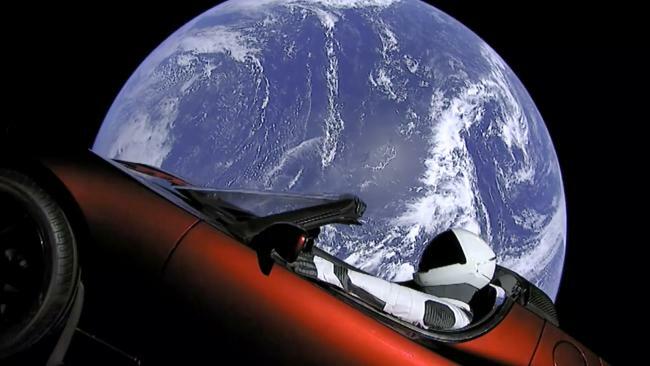 Mr Musk tweeted overnight that the Roadster had exceeded the red planet's orbit and had continued towards the asteroid belt between Mars and Jupiter, a more distant trajectory than anticipated, almost reaching the orbit of dwarf planet Ceres. It's not clear whether the vehicle will survive flying through the asteroid belt, but if it does it could continue to cruise through space for millions of years. 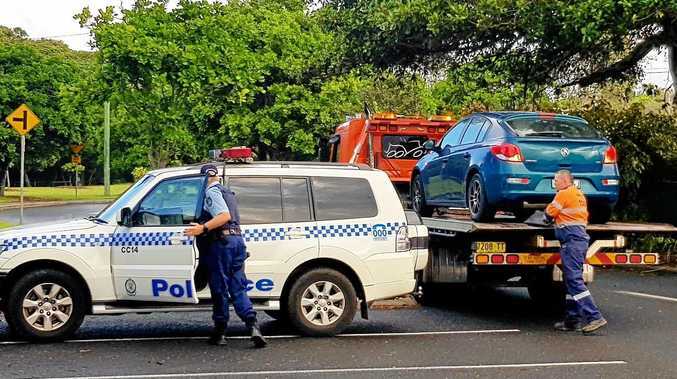 Images of the car blasting through space with Earth in the background have been met with wonder. "I think it looks so ridiculous and impossible. You can tell it's real because it looks so fake, honestly," Mr Musk said after the launch. "It's still tripping me out." US astronauts both current and former were impressed by SpaceX's feat. US President Donald Trump even tweeted out his congratulations. Mr Musk has stated that his ultimate goal is to put humans on Mars. He said he hoped other private enterprises would follow his lead and say, "Hey, we can do bigger and better." Good luck out there, Starman!